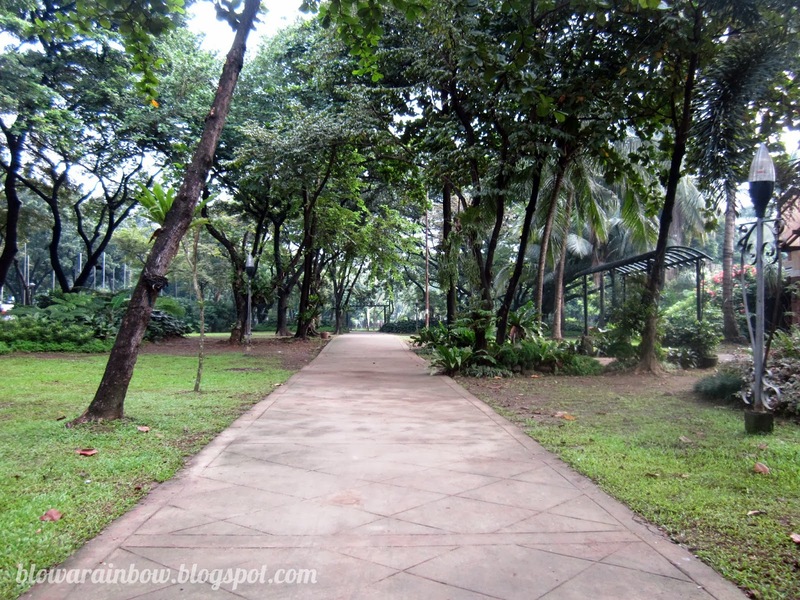 After posting my EDSA Shrine escapade last time where I mention that Quezon Memorial Circle is where I first fondled about my sentiment in staying in quiet and peaceful places, I realized that I haven’t posted anything about it yet in this blog. Therefore I decided to revisit the place the following day. QMC is just a ride away from our home so going to the place doesn't need any planning or anything. It only takes 10 minutes for me to reach the place. I feel so blessed to have this silent sanctuary in Quezon City and not to mention, near our place! My usual purpose of visiting this place is for jogging when I have time in the morning hence the reason why I never got the chance to take photos of it. It would be a hassle bringing a camera with you especially when you’re moving here and there. My usual jogging essential consists of 3 things: Cellphone for important communication purposes, iPod Touch for music and camera as well and coin purse for my transportation money and impulse purchases. That day, my main purpose is to take photos of the place for this blog so I carry my digital camera with me but still, I wear an exercise appropriate number just in case. I'm a girl scout that way! My favorite part of this day is when I discover the free use of exercising equipment in one part of the park. Good thing I came in an exercise appropriate outfit even if my purpose is just to take pictures. Trusted Girl Scout instinct! I tried most of the equipment that was meant for abdomen exercise because that was my troubled area. I am planning to regularly visit the park every morning and spend 1-2 hours exercising while I am still unemployed. How I wish I can commit to be fit! Since I am alone, all I have done is took my usual selfie (haggard version!)! I normally ask BF to take a photo of me including my outfit but since it is a week day and he has to go to the office, sariling sikap muna ang pagpipicture ko sa sarili ko! Sweating while breathing fresh air is definitely a perfect way to start the day! Just realized that having an outdoor gym can be that good because of this! The place is such a nice place to exercise. I actually would prefer the outdoor gym.